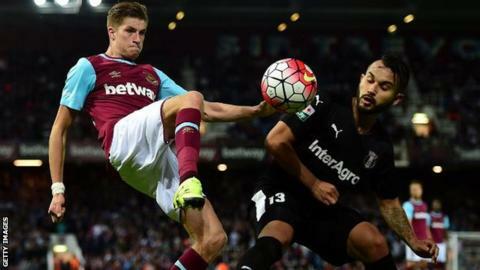 Defender Reece Burke's loan spell at Bradford City from Premier League side West Ham has been extended by a month. Burke, 19, has played every minute of the Bantams' five League One matches and not been on the losing side since he moved to Valley Parade in August. The last game of his original deal was Sunday's 2-2 draw against Sheffield United, but he will now remain with Bradford until 25 October. Burke played for England Under-20s for the first time earlier this month.